If you like makeup, chances are you own at least one set of makeup brushes. 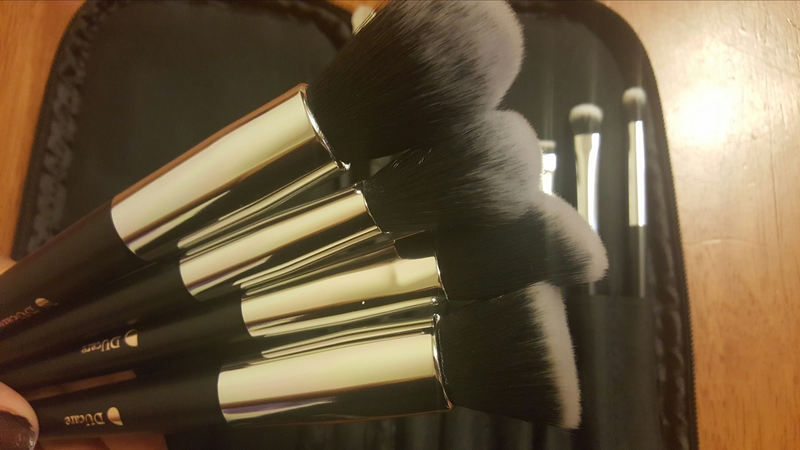 Most quality brushes are pretty expensive, but when it comes to your face you definitely want to choose quality over quantity. Luckily, Â there are a few companies committed to creating quality brushes, at affordable prices. 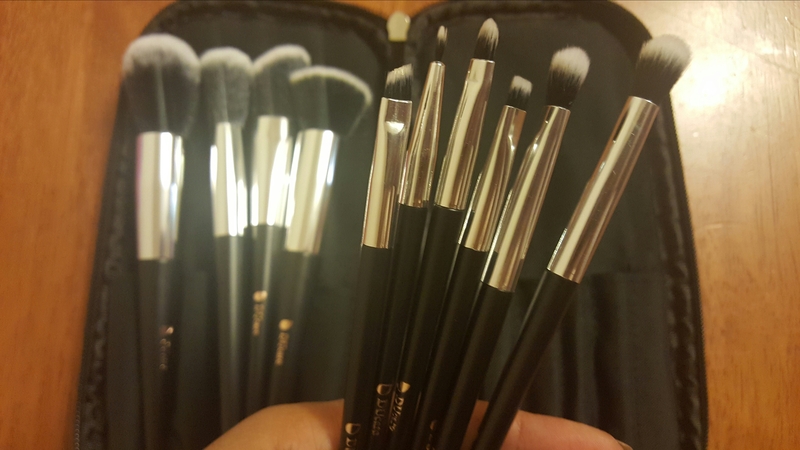 DUcare is one of those companies, and not only were they kind enough to send me a set of brushes to review; they also are offering all you lucky readers a 35% discount with this code X5A6SF77. Go pickup some brushes of your own and take advantage of thatÂ great discount here! 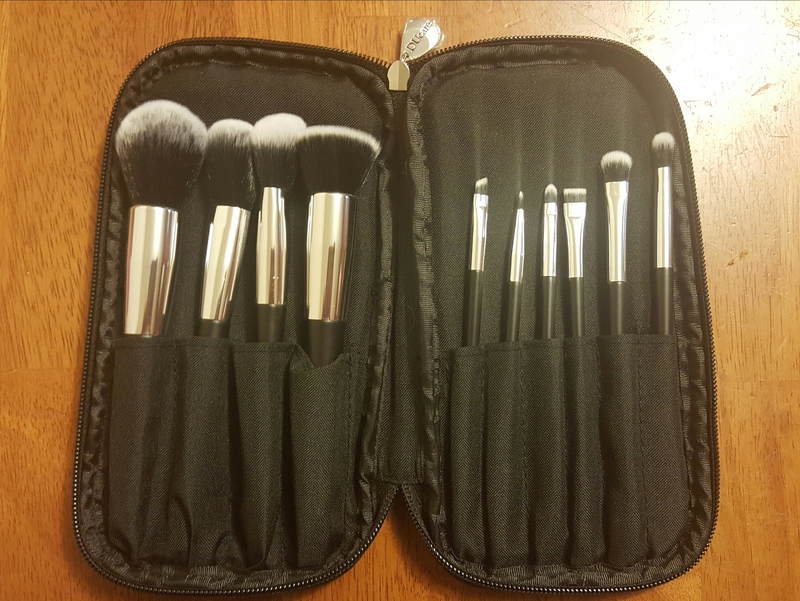 I received this 10 piece makeup brushes set in a quilted black case. The bristles are made of synthetic fibers and are incredibly soft and fluffy. The ferrule is made of satin silver aluminum, and the handles are made of a matte black wood and feel sturdy. Upon first sight these brushes look impressive for their price. The first thing I did was wash them, and I am happy to report no shedding of the bristles occurred. Using them to apply my makeup was the fun part. They pick up makeup well and application was smooth since the bristles are soft and not at all harsh on my face. The brush set includes four brushes for your face (from left to right). Large powder brush, shaped foundation brush, angled brush, and flat foundation brush. Also included are six eye, lip and brow brushes Â (from left to right). Angled brow brush, eye liner brush, lip liner brush, flat eye brow brush, eye shadow brush, blending brush. 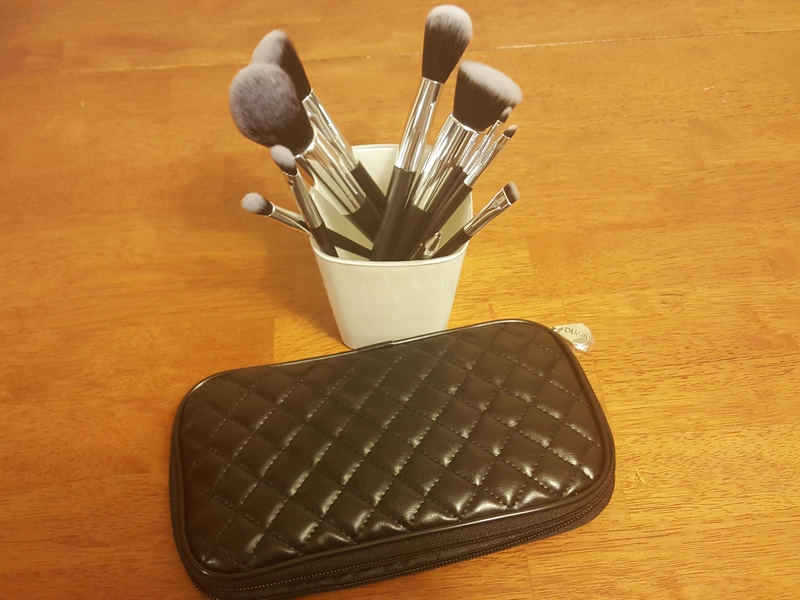 The brushes come in this handy and cute black quilted case, and a brushegg to clean brushes is included as a free gift.